KATHMANDU, July 11: Extending solidarity with agitating senior orthopedic surgeon Dr Govinda KC, doctors have announced yet another round of nation-wide protests. Doctors will hold protest rallies for an hour every day from Wednesday. These nation-wide protests come as the 72-hour ultimatum given to the government is expiring Wednesday. 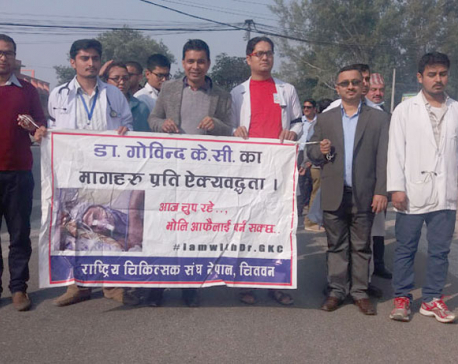 “We will organize protest rallies for an hour in front of medical institutions from tomorrow,” said Dr Dhundi Raj Paudel, senior vice-president of Nepal Medical Association. “We will gather around the premises of health institutions when they are open and organize our rallies with black bands around our arms,” he said. Dr Paudel further said that they would take more stringent measures next time if the government fails to address Dr KC’s demands. 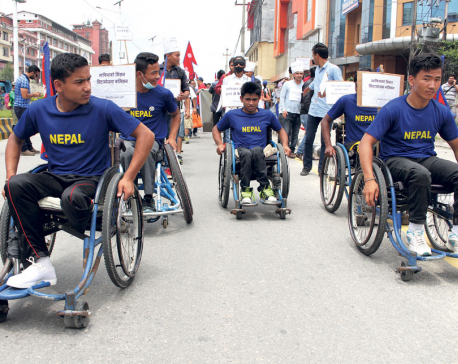 “We don’t want to deprive patients of treatment but we can go to that stage in order to save Dr KC’s life,” he warned. Dr KC started his 15th fast-unto-death on June 30 in Jumla, demanding that the government work for ordinary people instead of the medical mafia. His health condition is deteriorating. 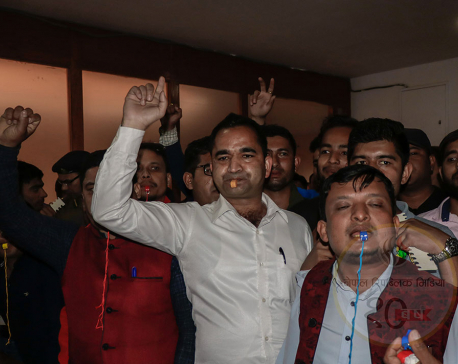 Dr KC’s seven-point demand includes bringing a Medical Education Act without changes, immediate publication of the report of the medical probe commission led by Gauri Bahadur Karki, taking of action against culprits, implementation of the report prepared by the employees standards determination committee, revoking of the ban on staging protests at Maitighar Mandala, and formulation of law to discourage threats against doctors and health workers.